VMware Workstation is a great tool that personally, I use every day to work, develop, test, etc. It is a great way to perform virtualization on a desktop workstation of many flavors, including Windows and Linux based desktops. With the recent vSphere releases, you could have forecast that those new features would eventually make it into the VMware Workstation lineup by way of an update or new release and that is now official. We will take a look at VMware Workstation Pro 15 Released with New Features and see the new enhancements that have been added to the VMware Workstation line. Let’s begin. Let’s examine these in a bit more detail to see what these new features entail. The list of new operating systems represent the latest and greatest operating systems support for most OS’es that most will be running and want to run in a VMware Workstation environment. Another advancement with VMware Workstation 15 Pro is the inclusion of DirectX 10.1. The new DirectX 10.1 version provides higher visual quality by using multi-sample anti-aliasing (MSAA). Additionally, DirectX 10.1 supports Shader Model 4.1 and Cubemap Array. With each new version of vSphere and VMware Workstation, VMware generally adds a new hardware version level. The new hardware version 16 is included with VMware Workstation 15 Pro and adds support for DirectX 10.1 and new maximum graphics memory of 3 GB. More and more devices are providing high DPI displays or displays that are capable of extremely high resolutions. Now with VMware Workstation 15 Pro, High DPI support has been added. To take advantage of this feature, the host and guest operating system be Windows 10 version 1703 or higher. As for the host level high DPI support, VMware Workstation 15 Pro detects the host level DPI change and auto adjusts the layout to meet the new DPI. On the guest operating system side, When the host side DPI changes, the guest operating system adjusts its DPI to match the host DPI. Additionally, VMware tools 10.3.2 is required inside the guest operating system. VMware has been focusing on making sure that VMware Workstation has strong integration with vCenter Server over the past few versions so it can effectively be used as a management interface for VMware vSphere. New with VMware Workstation 15 Pro is a “hosts and clusters” view when connecting to vSphere. The inventory tree now shows a hierarchical arrangement of objects in two different views including hosts and clusters and VMs. You can toggle between the two with a single click. Also, this is only supported on Windows hosts. To go along with the above-mentioned statement concerning vSphere interoperability, VMware has added vSphere 6.7 support to VMware Workstation 15 Pro to provide interaction with the latest and greatest vSphere version. This means you can manage vSphere 6.7 environments using the functionality mentioned above as well as upload and download machines that are running in vSphere 6.7 environments and have these operations be fully supported. Over the last few versions of VMware Workstation, USB device support and functionality has been improved. New with VMware Workstation 15 Pro is the ability to “auto connect” USB devices to virtual machines and have VMware Workstation 15 Pro remember the connection(s). New with VMware Workstation 15 Pro is the ability to SSH to Linux guest virtual machines. The requirement on the host side is that the host must be running Windows 10 version 1803 or later. This will enhance the interaction and ease of connecting to Linux guests running inside VMware Workstation 15 Pro environments. There are a couple of new enhancements with the user interface to mention with VMware Workstation 15 Pro. One is the Stretch guest display feature that is enabled for Linux and Windows guests. You can use the keep aspect ratio stretch feature to stretch the VM display while maintaining the user interface aspect ratio or you can use the free stretch feature to stretch the virtual machine display to fill the user interface. This is a Windows only feature. Another new Windows host only feature is being able to right-click a virtual machine running in the VMware Workstation 15 Pro library and choose “open VM directory” which will open the virtual machine directory right from the VMware Workstation Pro 15 interface. Linux Workstation Pro has already supported this feature. New Linux host support here – VMware Workstation 15 Pro can now run fro a Wayland desktop. NVMe storage is gaining popularity and is certainly becoming more mainstream across the board. With the new VMware Workstation 15 Pro release, the performance of virtual NVMe has been improved. VMware Workstation Pro 15 Released with New Features brings the latest and greatest features and functionality to VMware’s flagship desktop virtualization product. VMware Workstation is a great platform for testing, development, labbing, and many other use cases. The new features including the latest operating systems, REST API support, High DPI, vSphere 6.7, and NVMe performance improvements certainly justify the upgrade to the latest Workstation 15 Pro version. 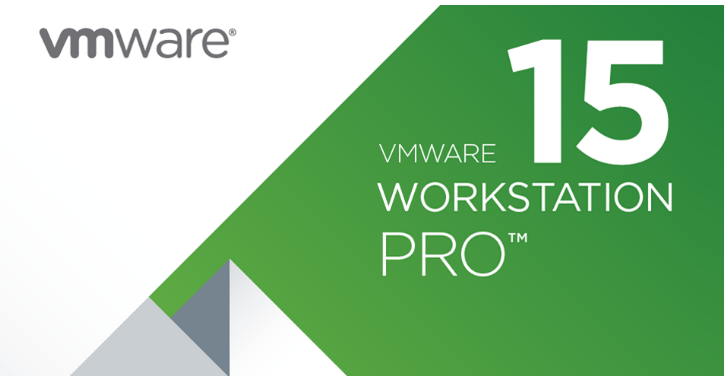 Be sure to check out VMware Workstation Pro 15 as it is available in trial form to test it out before you buy.